« When Did You Begin Calling Yourself a Writer? Today I want to welcome Tom Barbash, author of the short story collection Stay Up With Me, which hits bookstores TODAY. (See below for a list of Tom’s Bay Area readings.) Tom is the author of the novel The Last Good Chance and the bestselling nonfiction work On Top of the World: Cantor Fitzgerald, Howard Lutnick & 9/11: A Story of Loss & Renewal. His fiction has been published in Tin House, Story Magazine, The Virginia Quarterly Review, and many many more. He has taught at Stanford University, where he was a Stegner Fellow, and now teaches at California College of the Arts in San Francisco. He lives in Marin. BE SURE TO READ THROUGH TO THE END FOR A CHANCE TO WIN A COPY OF TOM BARBASH’S STAY UP WITH ME. I’VE READ IT, AND IT’S FANTASTIC! MW: The protagonists in Stay Up With Me are desperate. Husbands and wives are separated by death or divorce, and the children are lonely. What influenced you to write a collection about estrangement and loss? TB: I didn’t consciously intend to write about those issues. There has been a lot of loss in my life. I lost a parent, my mother, when I was in college, and I lost my father, too, more recently. But I think of my characters as less desperate and more emotionally resourceful. They’ve developed pretty effective defense mechanisms. The fact that Timkin can pull off the (“Balloon Night”) party is remarkable. He summons the strength to go through the evening. A lot of the characters are getting along with their lives. They’re avoiding certain truths too. MW: Although some of your stories take place in Manhattan, where you grew up, most take place in upstate New York, where you worked as a reporter for the Syracuse Post Standard. Did your time there influence your writing? TB: Very much so. That was a very important time for me. After college I worked at the Syracuse Post Standard. At first I was stationed in Syracuse and then in Oswego County. It was a really rich environment for me as a writer and gave me perspective on New York as a writer. I was able to see the New York that I came from a little more clearly than had I stayed in New York. Actually, my first novel, set in a town that I named Lakeland, was loosely based on Oswego. I found it interesting that New York and Oswego were only four hours away but it felt like thirty years of culture between them. Very different people and very difficult cultures. Even the way people spoke was different. MW: You’ve lived in California for almost two decades, but all three of your books have been set in New York. Do you think you’ll ever write a book that is set in California? TB: The next book I’m writing is set in New York again. I suppose at some point I probably will, but I feel like the place you grow up is usually rich material to write about. And having grown up in New York in the 70s and 80s as it changed from a somewhat dangerous place to something really different, it’s a really rich place of material for me. I’m sure I’ve got a California story to tell at some point, but not in the near future. … But I love living here. I have no plans to move to New York. MW: Do you write your books from memory, or do you return to New York to do research? TB: I go back a lot. I still have family and friends there, my editor and agent are there, and I sometimes do magazine work in New York, so any excuse I have to go back. I wrote a nonfiction book, too, that takes place in New York, so I spent the better part of a year there at a very difficult time. It deepened my connection to New York to see it under siege and wounded, in a way. It heightened my fondness of the city to be part of the whole Sept. 11 story in the way that I was. MW: You’ve written a novel and a nonfiction book. Why a short story collection now? Are short stories making a comeback? TB: For me short stories never went away. The short story was the first form I fell in love with. My first workshop teacher was Tobias Wolff, so I’ve always loved the form and always worked on short stories while working on other books. Peter Orner’s short story collection Last Car Over the Sagamore Bridge is one of my favorite short story collections I’ve read. It’s incredible. Dan Chaon had a book called Stay Awake that came out last year. Rebecca Lee’s Bobcat is fantastic. I’m amazed with all that Ecco has done for me. I assumed that shorts stories weren’t being published in a big way, and they really got behind this book. I think that’s a sign short stories aren’t going anywhere. 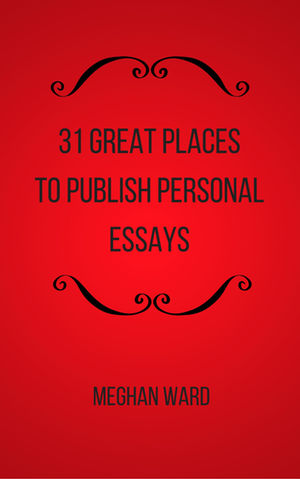 MW: All of the stories in this collection have been previously published in literary journals and magazines. How important is it that short stories be published individually prior to being published as a collection? TB: I don’t think it’s necessary. I think it’s helpful. For me, the publication of these magazines has kept me out there in a way. It’s been ten years between my last book and this book, so in the meantime publishing in these various magazines has kept my work out in the world. It’s a really good thing to do, and it’s good to develop relationships with the editors at places like Tin House and McSweeney’s, and The Missouri Review. They have small audiences, but they’re really rich places to publish your work. For young writers, it’s the way to go. MW: Who are your literary influences? TB: A huge one for me story wise is John Cheever. Dan Chaon, I love his stories and I’ve learned a ton from him. Charlie D’Ambrosio, Mary Gaitskill, Lorrie Moore, Tobias Wolff in terms of short stories. As for novelists, Jonathon Franzen, Tolstoy … there are a lot of people that I love. MW: What is the last great book you read? MW: Tell us a little about your writing process. Do you write every day? TB: I try to write every day, and I tell my students to, but my life the way it is with a job and a family … most days I write, and when I have to turn something in, I write every day, but life gets in the way sometimes, and I’m okay with it. There are periods in the year when I can block out time, and I try to clear my head as much as I can and get down to work, but that’s hard on a day-to-day basis. MW: How many days a week would you say you write? TB: Most weeks six days a week, but when the semester starts, it’s hard. I’m always working at least 4 days a week. I try to do at least 3.5-4 hours in a day. When I’m really cranking, I can do 8-9. MW: You teach at California College of the Arts in San Francisco, and you have a son. How do you balance teaching and parenthood with your writing? TB: I’m trying to wake up very early, but my classes are usually scheduled 4-7 p.m. or 7-10 p.m., so that affords me time during the day to work. CCA has been very good at giving me a schedule that works. MW: What advice do you have for writers trying to make it in this difficult publishing climate? TB: The first thing to do is put in the time and work incredibly hard and read intensely and stay with the work and don’t try to push it out into the world too early. It’s a combination of hard work and patience. It’s important not to be cynical about the process and not listen to people who tell you how hard it is out there. If you stick with it and work hard, you will get published and you’ll get noticed. You may not make a living at it. MW: Is it possible to make a living as a full-time fiction writer? TB: I would say that I don’t think the living is likely to come from your books unless you’re Stephen King or James Patterson. But (if you’re published), you’re more likely to get a good teaching job, you’re more likely to get grants and writing gigs at conferences. That all begins with publication. A lot of people are now making a comfortable living pulling together their yearly salary from a variety of sources, but it’s pretty rare that someone is making a living from their advances. MW: You mentioned that writers should “read intensely.” How important is it for writers to read? TB: It’s everything. You can almost guarantee that if someone says they really want to write and they’re not reading anything, they are not likely to have success. And others who have not been writing but have been reading a lot, they begin taking workshops and they get really good really fast. You intuit a lot of the craft from the writers you’ve been reading. There’s a real close link between reading well and writing well. TB: I’m working on a novel set in the Upper West Side in 1980 in the building The Dakota. The Dakota is the building where John Lennon lived and was assassinated and where Rosemary’s Baby took place. It’s five blocks from where I grew up. The book is called The Dakota Winters. The last name of the family is Winter, and the father is a talk show host. MW: When can we expect that to be out? TB: It’s scheduled for fall of 2015. To be entered in a drawing to win a copy of Tom Barbash’s Stay Up With Me, name your favorite short story in comments below. The contest will end at midnight Sunday, September 15, and I will announce the winner Tuesday, September 17. Tuesday, September 12: Book Passage in Corte Madera, 7 p.m.
Wednesday, September 13: Mrs, Dalloway’s in Berkeley, 7:30 p.m.
Thursday, September 14: Book Smith in San Francisco, 7:30 p.m.
My favorite short story of all time is "Claudia's Cheeks" by Catherine Travel. I don't know that one, Josh. My most memorable short story is one I read as a kid: "The Most Dangerous Game" by Richard Connell. That story made me want to be a writer. Thanks, Josh. I wrote "Claudia's Cheeks" many moons ago. Thanks, Erin! I've never read any of Jennifer Egan's short stories. Mine is, among others, Flannery O'Connor's "A Good Man is Hard to Find," comic, tragic, eyes trained on God. Great, great story! I also love "Bullet in the Brain" by Tobias Wolff. I heard him read it at my college once. SO good. Oh, that's cheating! Just kidding. You can love your own story best! I'm going to have to publish this great list of short stories! That one sounds familiar, but I don't think I've read it. I'll have to look it up. "The Lottery" by Shirley Jackson, because she went to my high school and that story, and Kristin Wiig, are our only two claims to alumni fame. Which high school, Nancy? I'm intrigued by any story called "The Lottery." "The Lottery" is a stealth thrill story, beautifully done. Good choice. Oh, I would love that. I'll have to read it! He mentioned Tolstoy, which reminds me of his story "After the Ball." Other favorites would be a good deal of Ray Bradbury and Jack London, including his "War," which reads like Hemingway before Hemingway. with spelling issues and I in finding it very troublesome to tell the truth on the other hand I’ll surely come again again. I’m really looking forward to hearing this.It does sound like a great idea. you’re in point of fact a excellent webmaster. The website loading pace is incredible. It sort of feels that you’re doing any distinctive trick. Moreover, The contents are masterpiece. you’ve performed a magnificent activity on this subject!